The Jonas Brothers can be added to the list of artists who have canceled concerts lately due to illness (yes, we are talking about you Paramore and Miley Cyrus). 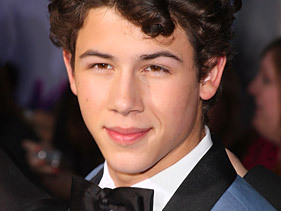 The band had to cancel a show over the weekend due to Nick Jonas upper respiratory infection. In other Jonas Brothers news, their TV show, “Jonas,” has been picked up for a second season on the Disney Channel, according to The Hollywood Reporter. The show’s second season is set to start production in February and premiere later next year. The Disney reality show “Jonas Brothers: Living the Dream” has also been picked up for additional episodes.